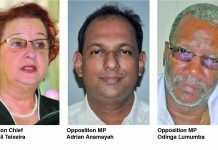 The Civil Society Forum – an organisation comprising of several non-governmental organisations, including the private sector, trade unions and religious groups – on Monday said that the position adopted by the Head of State, President David Granger on the issue of Guyana Election’s Commission readiness for the constitutional mandated elections is “unacceptable”. It said this “manoeuvre” revives the misgivings and insecurities generated by the controversial selection of the current Chair of GECOM, Justice James Patterson, who now has the casting vote on when elections will be held. 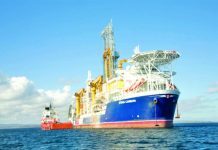 The civil society organisation made it clear that the Constitution of Guyana mandates GECOM to be ready within 90 days, and there is no provision that allows the President to amend that provision as a pretext for not announcing a date for national elections. It explained that the main preparatory tasks for elections: prepare the voters’ list, arrange polling stations, train staff, print ballot papers, and administer polling day; are tasks which are all routine. “All of these technical issues are the responsibility of the Chief Elections Officer, rather than resting on the opinions of the Commissioners. Given the not-too-distant local elections, GECOM is more prepared than normal. The only task around which ‘unprepared’ is ever raised is the Voters’ List,” the organisation posited. The David Granger administration has not been moving with much urgency with regard to holding elections before the constitutional deadline of March 21. Instead, their respective GECOM Commissioners, including the Chair, have been advocating for house-to-house registration to sanitise the voters’ list, a process which would go well beyond the constitutional deadline. As such, the civil society group explained that house-to-house registration, while desirable, is not a necessity at this point. The Group contended that neither GECOM nor the President can set aside the Constitution to pursue their desire for house-to-house registration. 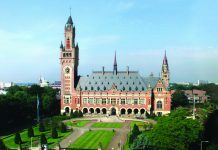 Further, the civil society organisation debunked claims by the Head of State that some voters would be disenfranchised without the process of house-to-house registration. 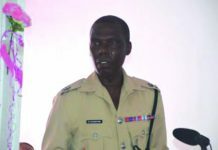 The organisation explained that unregistered persons can find their way to one of hundreds of GECOM offices around the country to get registered. 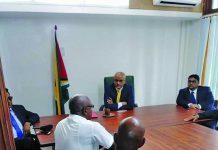 Opposition-nominated GECOM Commissioners recently submitted a proposal of a work plan for the hosting of elections no later than April 29, but this was shot down by President Granger. Notably, not all members of the Civil Society Forum share these views. 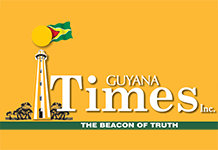 The Guyana Trades Union Congress (GTUC) – headed by Coretta McDonald – does not subscribe to that position. The members who are mounting pressure on President Granger to call a date for elections are: The Anglican Church of Guyana, the Guyana Human Rights Association, Movement Against Parking Meters, Inter-Religious Organisation, Guyana Presbyterian Church, Roman Catholic Church, Transparency Institute of Guyana Incorporated, Guyana Rastafarian Community, Guyana Agricultural and General Workers Union, Private Sector Commission, Red Thread, Aircraft Owners Association of Guyana, and RISE Guyana.